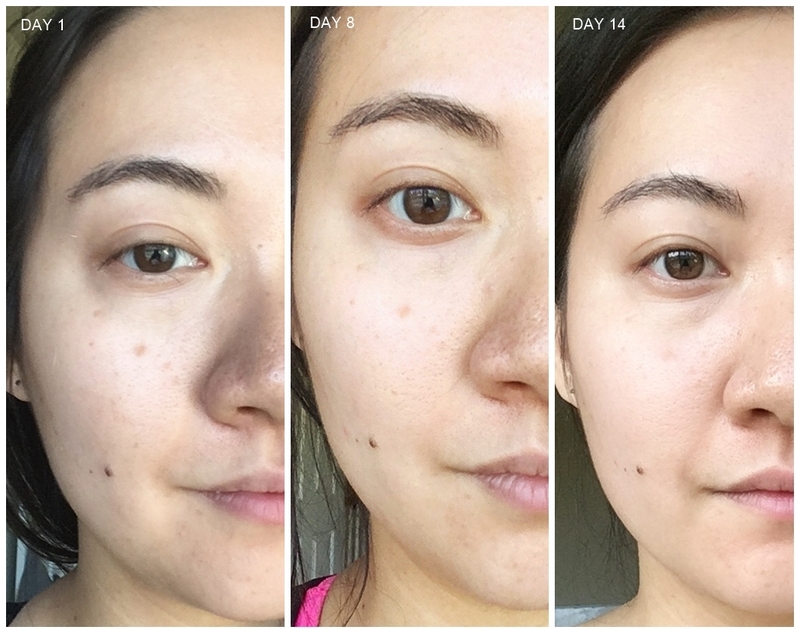 I have no desire to be any whiter (or tanner, it goes both ways) but I did want to tackle some small patches of melasma that were getting rougher, darker, and larger with each passing month. The patches were getting dark enough that I would have to apply concealer in a couple layers over that spot. My paternal grandmother had similar melasma on her cheeks and over her lifetime, they deepened in color and increased in size. To be fair, she was living through a time when SPF didn't have much traction (Cultural Revolution in China, so I mean forget sun care, skincare isn't even a thing), and I'm taking note, hoping to avoid those dark patches when I'm older. MelodyCosme recently had a sale and I purchased the Manyo Factory 2 Week Express Program to take those dark spots head on. The Program is a set of four vials, you mix two of them at the start of each week. The ampoule mix is a translucent off-white. As the week goes by, it starts to take on more of a yellow hue (keep it out of sunlight and away from heat!). It smells rose-like and very citrusy, feels like a thick serum with the occasional undissolved clumps of powder (despite my frantic shaking). It is slightly sticky and oily, I would use this solo or with a thin layer of gel moisturizer or sleeping pack on top of it, because it pills and gets gummy easily if you use a lot of other product with it. Ampoule II: Aspergillus extract, rice extract, fermented filtrate of galactomyces, PROPANEDIOL, Niacinamide, vegetable oil, isoamyl laurat, cetearate- 6 olivate, capric triglyceride, microcrystalline cellulose, cellulose resin, extract of physalis alkekengi, sodium hyaluronate, fruit extract, Japanese pepper extract, lumbago Korean, extract usnei borodulino extract, broccoli seed oil, lavender, rose oil, arginine, Shea butter, tomato extract, xanthan gum, Camellia leaf extract, grape seed extract, licorice root extract, cucumber extract, citrus oil, rosewood oil, tranexamic acid, dipotassium glycyrrhizate, extract of rosemary, extract of soy beans, apricot water. Manyo Factory recommends using another niacinamide product with the 2 Week Express Whitening Program, like their Niacin Alpha or Galactomyces Niacin Special Treatment Essence. I had a foil of the Niacin Alpha so I used it sparingly over the two weeks, spot treating my darkest spots. Would definitely recommend using something with niacinamide and/or licorice extract to get the most of the Program. Sun screen should also absolutely be paired with this system. On the whole, I don't do well with vitamin C products. They irritate at best, burn like a thousand dying suns at worst. When I first started the Program, the first few days I felt a slight warm sensation and flushed a bit when I applied the ampoule mix, but faded within five minutes. By the time I finished the first week, my face didn't react at all when I applied the Program. I did get a some whiteheads, but for two weeks I didn't mind very much (I consider it the price of admission, most products make me break out, so not anything new). The darkest spot on the top of my cheek definitely faded, I would say its half as dark as it used to be, and it looks a lot more melty/undefined than it used to look. I don't even use concealer now, just a smidge of foundation can easily cover it. The patches that looked more like a slight shadow and small speckles disappeared completely. I think this should be a six week program to see the most jaw dropping results, to eradicate the darkest spots. 2 weeks put a dent in the darkness, but it feels like a first pass. I could see myself doing this two or three times a year, possibly back to back. Overall, I'm very pleased with the Manyo Factory 2 Week Express Program. While it gave me a few temporary whiteheads, it put in work with lightening my dark spots and overall made my skin look quite bright. 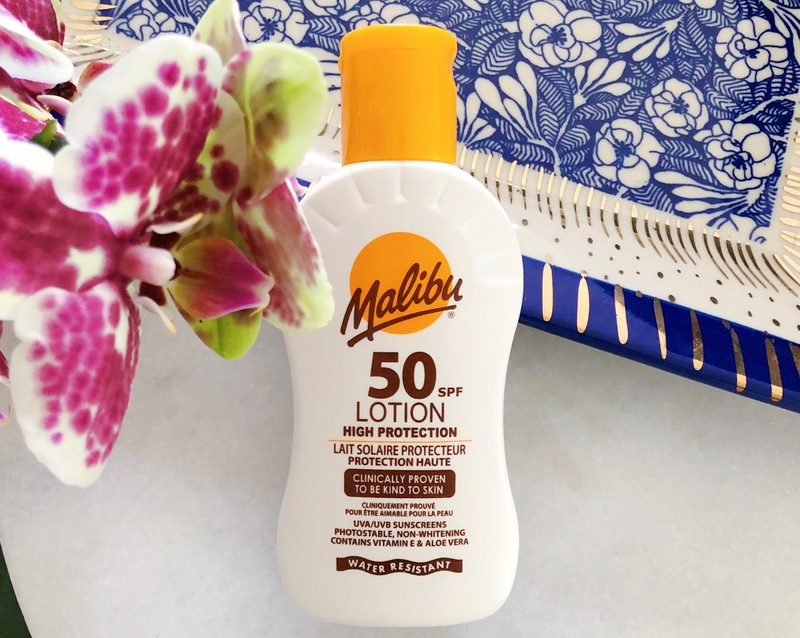 Pair this program with more niacinamide and suncreen for best results. Margaret of MelodyCosme mentions in her Instagram Stories (saved as highlight) that she saw improvements with closed comedones, check it out. So back to my grandmother and her spots. Interesting enough she had two daughters, my aunts, who took very different approaches to the sun. The elder had a *shrug* it-is-what-it-is sort of attitude and consequently has skin similar to my grandmother, with melasma patches on the cheeks. The other aunt was more fastidious with her sun protection and I always saw her with wide brimmed hats, scarves, visors, long sleeves. She is around 60 now and has virtually no spots what so ever. Baby faced auntie with her smooth cheeks is without a doubt, my role model for healthy skin. Wear sunscreen, preventative measures are so much easier than trying to hid/minimize skin damage. But if you do have to lighten spots, the 2 Week Program is the way to go. The system is regularly $32 at Melody Cosme. Definitely will repurchase! Use this link for $10 off a $50 order (reward program, I get $10 worth of points). Product featured was purchased by me. For additional information, please refer to my Disclosure Policy. Post contains reward/affiliate link.